ACADEMY #52 BEGINS AUGUST 26, 2019. The Fire Technology Department at Victor Valley College provides training and educational opportunities for students to become eligible for employment as a part time firefighter with a local agency, a seasonal firefighter with the United States Forest Service, a full time firefighter with the CAL FIRE, or a full time fighter with any municipal fire department in California and many states in the western United States. We offer accredited courses that meet the professional standards required by the California State Fire Marshal’s Office. Students must complete each of these courses with a passing score of 80 percent or better to earn certificates that many employers require for consideration for employment. Victor Valley College is accredited as a Regional Training Program through the State Fire Marshal’s office. This means that the fire technology program delivers advanced courses for fire officer development, chief officer develop and other specialized positions within the fire service. 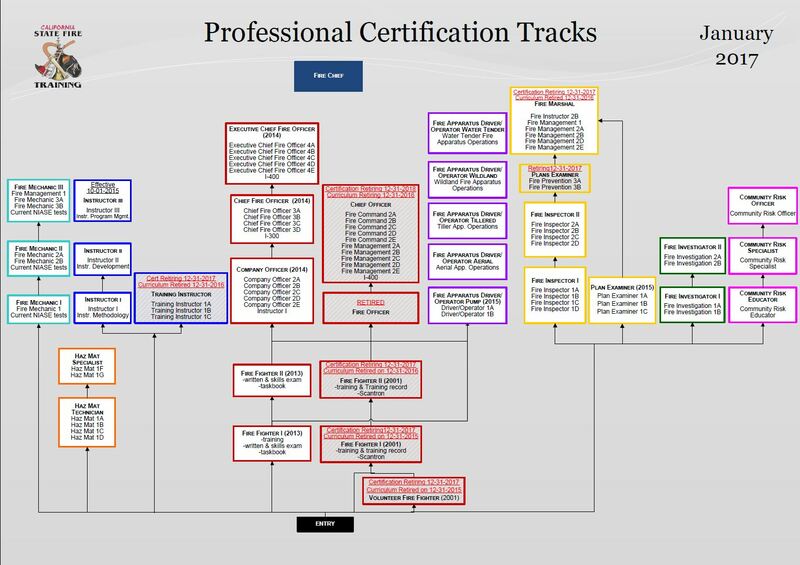 Certifications for these courses are issued at the college, as opposed to being sent to the State, thus eliminating the often 6 to 8 week wait for the issuance of certifications. The program provides classes to students who are seeking an opportunity for a career in the fire service as well as career development for firefighters who are looking for advancement to company officer, fire prevention specialist, and chief officer positions. 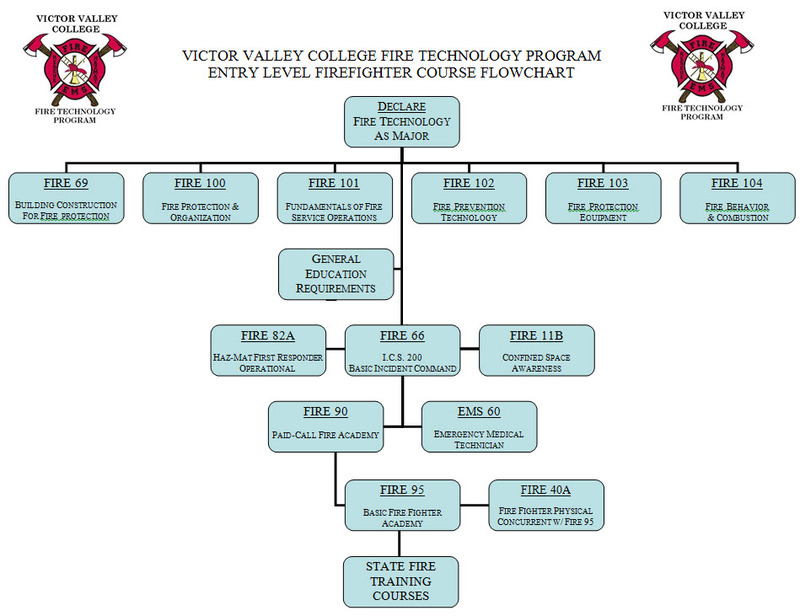 The Victor Valley College Fire Technology Department offers courses of instruction with two full time faculty members and 45 adjunct faculty from neighboring fire departments such as Victorville, Apple Valley, San Bernardino County Fire department, Los Angeles Fire Department, Chula Vista, Bakersfield, Vista, Poway, Riverside, USFS, and CDF. We have grown from six classes per semester in 1991 to more than 45 classes each semester plus winter and summer offerings. The department provides a series of classes that will give entry level students the basic skills and abilities to pass the required employment examinations for a paid call firefighter position with any of the local agencies. Several classes also prepare the student for entry into the Firefighter I Academy, a 12-week, 400-hour rigorous course of study that will, when successfully completed, earn the student a certificate from a certified training academy that they meet the professional standards for entry level firefighter. Victor Valley College Fire Technology Program is also the first and only institution in San Bernardino County to offer the validated Physical Abilities Test (Biddle).